We invite you to visit our advanced eye care office in Kelowna, BC, to benefit from superior services all around. Our eye doctors are highly experienced and take a progressive approach to providing you with clear and healthy vision. And we provide these services in our technologically advanced facilities, equipped with cutting-edge equipment to diagnose and treat your eyesight. We strive to be the most exceptional eye care providers in the region – giving each patient the most exceptional vision possible! No matter what you need, complete patient satisfaction is our #1 priority. 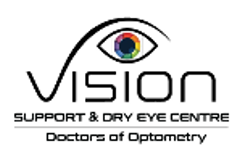 Comprehensive eye exams, detailed diagnoses, precise technologies, full co-management of eye disease and other medical conditions, dry eye treatment, glaucoma treatment, emergency eye care, and testing for alternate vision problems… we do it all and more! At Vision Support Centre, our Kelowna, BC, office aids local optometrists, ophthalmologists, and general practitioners to access state-of-the-art technologies and a range of specialized therapies. 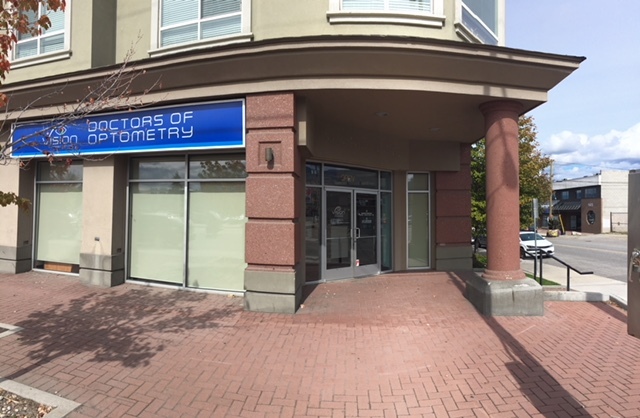 What’s near our Kelowna optometry office? We are located right off the Kelowna-Rock Creek Highway, making it convenient and easy for you to visit for regular eye exams or to get urgent treatment for an eye emergency. Now that you have an updated vision prescription for your eyeglasses, multifocals, or reading glasses, we encourage you to stop by the Kelowna Rutland Library – ORL Branch, only a three-minute walk from our office. Reading should be a comfortable, easy experience with your new eyewear. Looking for spiritual nourishment? Head over to the Willow Park Church, also only a three-minute walk from our Kelowna optometry practice. Willow Park Church is one church with four locations, giving it the reach of a large-community center with a small-church atmosphere. At this house of worship, they preach REAL life – Redeemed, Empowered, Active, Listening. Within about five minutes on foot from Vision Support Centre, you can reach a few green spaces for spending time outdoors with your family in Kelowna. Rutland Lions Park has a fun playground and trails to stroll on. Rutland Centennial Park has an inclusive playground for the kids to explore as well as two soccer fields for kicking a ball around. Don’t forget that your pets need to be taken care of too! Bring your furry, feathered, or scaly friends for wellness exams and treatments at the Rutland Pet Hospital in Kelowna, BC. This animal hospital is fully equipped to provide comprehensive veterinary care for small critters. When snack or meal time rolls around, Kelowna won’t let you down. There’s a fabulous variety of food within minutes of our eye care centre. Take a seat at My Neighborhood Restaurant to enjoy classic American dishes for breakfast and lunch. For a spicier, ethnic menu, head to Latin Fiesta and order tacos and nachos. When you want entertainment along with your food, we recommend the Olympia Greek Taverna on Saturday night - savor mouthwatering Greek cuisine as you swing to the beat of exotic belly dancing in this bright, spacious eatery.